Darling mare! Sugar was an orphan since the loss of her wonderful mom at two months. 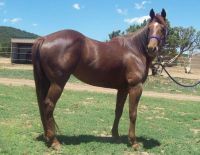 This filly is destined for reining and cutting, her pedigree is loaded in performance greats. She goes to HIGH BROW HICKORY, COLONEL FRECKLES, HESA COMMANDER, and SHARI OAK BAR. 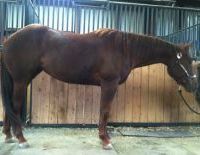 Sire has cutting points; Dam has produced many money and point earners in working cow and reining. Has six months cutting training with Merritt Wilson, 2x NCHA Futurity winner.